I have had numerous conversations over the past decade with folks who passionately claim that racism is a thing of the past. 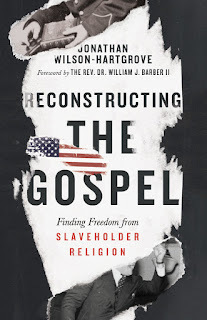 In Reconstructing the Gospel, Jonathan Wilson-Hartgrove argues, conversely, that racism is still alive and well, even in Christian America. He tells many stories about facing the truth of the racism which has been evident in his own life, and the ways in which racism has impacted the Gospel. He writes, "The further removed we are from our blindness, the easier it is to think we know better. Distance lets us imagine that we would never have prayed for Hitler's success or killed our Rwandan neighbors with machetes, all while feeling righteous as we work to rid the world of evil. But nothing calls us into account like sitting face-to-face with our contradictions...at least, we can't ignore them if we see them." While this is a book that calls people to see and address the racial injustice found in society today, it also is part autobiography. Wilson-Hartgrove tells readers about his own awakening to the cries of injustice from his African-American brothers and sisters, and the ways in which he realized his own worldview and politics were hurting those around him. For example, he was raised to understand that a "Christian" vote was a vote for candidates who were against abortion. However, he came to realize that many policies carried by pro-life candidates were devastating to the lives of African-Americans and the poor. Wilson-Hartgrove walks his readers through his decades-long recognition of his own embedded racism, and the racism that continues to exist in America today. Although white American Christians might claim that they are not racist because they have friends of color, Wilson-Hartgrove argues that racial habits and racial politics have "never been about hating the people you know. Racial politics is about dividing us from people we don't know through fear, then offering a savior to make us feel secure." White Christianity, he argues, has used Jesus as a security blanket instead of seeing him as the revolutionary symbol of a movement to break down exclusion and barriers. This form of Christianity, therefore, in unjust. Christians with the benefit of white privilege who do nothing to change the racial injustices found in education, job opportunities, and incarceration act unjustly. 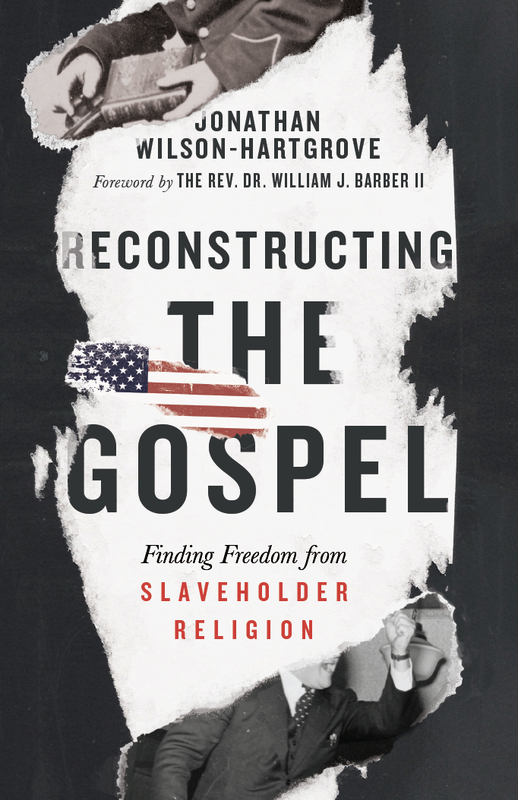 As Wilson-Hartgrove began to work for racial justice and equality through fusion politics, he found that to live this way is to take up one's cross and follow Jesus. To take up one's cross, he reminds us, is to confront political power. The way of the cross will most likely cause Christians to get in trouble. After all, "our greatest weapon is love. But when we love in public, it looks like a disruption." Rev. Barber asked his church's leadership about Jesus' priorities. If this was Jesus' first sermon, what were Jesus' primary concerns? Barber convinced the church that if they were serious about following Jesus, their priorities needed to align with his, and Jesus' primary concern was for the poor, the blind, the prisoner, the oppressed. I think about my own ministry, and how often my primary focus is generally on people who are middle-class, joyful, free, and healthy. This book is a persuasive case for readers like myself to see the inequality and injustices that still exist in our world currently, and to take up our cross and follow Jesus. Interesting review, thanks for the recommendation. Jan B.